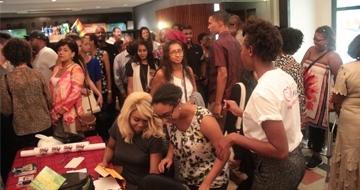 CaribbeanTales is a partner of the Telefilm Talent to Watch Program that supports the production, digital distribution and promotion of a first feature-length film or other formats of narrative-based audiovisual content made specifically for online distribution. For more information about the Talent to Watch Program please contact CaribbeanTales@gmail.com and check the following info on Telefilm’s website for eligibility. TThe Talent Fund-supported Talent to Watch Program (formerly Micro-Budget Production Program) finances emerging content creators who are recent alumni of a partner educational institution, active members of partner cooperatives or recent participants of partner film festival incubator initiative, or who have directed a short film that was selected at a recognized film festival. The program also provides automatic funding to projects directed by an emerging director having previously directed a short film that has won a prize at a recognized film festival.